With the new year comes a renewed interest in real food. Every year, I see tons of people come into the real food community in search of long-term, sustainable change in their lives. I also watch as people who have drifted away come back and start again. Renewed commitment is always a good thing. The New Year is always full of optimism. But optimism turns to frustration without direction. Where does direction come from? Information and education. So for the New Year, we are beginning a blog series. Every Friday we will do a look at an ingredient, a decision or a process within the real foods sphere. It might be as simple as why you should choose sea salt over iodized salt. It might be more complex, such as what soaking is, how to soak and why you’d want to do it. Grass-fed vs grain-fed. Pastured vs cage-free eggs. What if I can’t afford the best, what’s the next best alternative? All of those decisions that are out in the real food world that are enough to make your head swirl. We’ll take it one bite at a time. Information is always easier to digest when it’s in small pieces. This week, let’s look at an easy swap to make in your shopping: the issue of iodine in salt. Next week, we’ll look at non-iodized refined salt vs sea salt. If your New Year’s Resolution is to eat healthier, our Menu Plans can help. We’re the original and the longest running Traditional Foods Menu Mailer going, and I’m sure you’ll love our recipes that are family-friendly and budget-conscious. Click here to learn more and choose from our two plans. Disclaimer: I am neither a doctor nor a nutritionist. I am presenting the evidence and information I have found in my own research and discussing what I have decided to do for my own family. Please do your own research and make the right decision for your family. Please share what you and your family have chosen to do in the comments below. Salt is necessary for life. No animal or human can live without sodium in the diet. It is responsible for nerve impulses, muscle contractions and much more. Today, most conventional, commercial salts contain iodine as a supplementary nutrient. 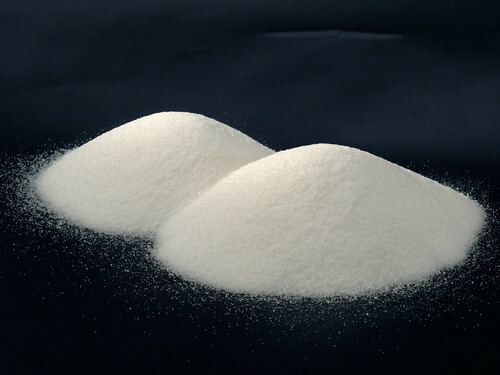 Most people are familiar with iodized salt, the pure white salt with added iodine that is commonly sold in grocery stores. Potassium iodide is added to the salt because at one time, goiter was a more common problem in areas with no access to seafood, typically areas far inland. A lack of iodine in the diet can lead to mental deficiencies, hypothyroidism, goiters and other problems. However, in modern countries with refrigeration and the transportation of sea products inland, I believe there is enough iodine in a varied real food diet that includes iodine-rich foods to prevent goiter without needing to iodize salt. The iodine issue keeps many from switching to non-iodized salt, but consider this. The amount of iodine you need to avoid health problems is 150 mcg, which is what you get from 1/3 of a teaspoon of iodized salt. In pregnancy, you need 220 mcg and while nursing you need 290 mcg, according to the National Institutes of Health. Iodine sources include dairy, grains, meats, eggs and seafood (source and source). Each cup of milk provides 56 mcg, so if you’re consuming just 3 cups of milk a day you’re getting the minimum amount needed for an adult, even if you don’t eat any other foods. Eggs have 24 mcg each. Three ounces of baked cod has 99 mcg and three ounces of turkey has 34 mcg. A half-cup of Navy beans has 32 mcg. A medium baked potato has 60 mcg. Even ice cream has iodine in it, due to the dairy content. It isn’t difficult to exceed the minimum on a daily basis by lunch even if you haven’t yet consumed any seafood or taken any herbs or other supplements. Seaweed contains iodine, but some types contain far more than others. If you need an extra iodine boost, be sure to include a little seaweed in your diet. If that is really squicky to you, you can consider putting some in to cook with your chicken stock. That’s a nice, gentle introduction without the over-powering flavor. Naturally, there is a higher need for iodine during pregnancy and a lack of it during pregnancy can result in mental retardation in the baby. If you’re truly concerned about not enough iodine in pregnancy or while nursing, consider increasing the seaweed or seafood in your diet weekly to ensure you’re getting enough. The diet for pregnant and nursing mothers by the Weston A Price Foundation recommends 2-4 servings of seafood a week. A high-quality pregnancy multi will likely have iodine in it, too. If you’re just really leery of forgoing the iodine even if you aren’t pregnant or nursing, you can consider a multi-vitamin or other product that includes iodine. Most high-quality multis on the market contain iodine. The one I take contains 75 mcg. Finally, I believe if you aren’t consuming enough iodine, there are better ways to get your needed iodine than stripped down, refined salt with no trace minerals. We’ll cover that next week. Therefore, I believe that in consuming a real food diet, I can obtain iodine via seafoods and other healthy, real foods without having to resort to iodized salt. There are other reasons I avoid refined salt, and we’ll continue looking at the issue next Friday. Next week, we’ll look at refined salt versus sea salts in regards to their trace mineral content. Please share with us. What do YOU do for your family? Which choice have you made? Janet, there are other ways to use it up. Cleaning is a good one. I use it to pick up spilled egg so it’s easier to clean. It makes the egg gel so you can get it up without schmearing it all over the kitchen floor. I also keep it around for craft projects for the kids. We use Redmond’s Real Salt too. It’s more expensive, but I buy it so infrequently that I hardly notice! That was a good place to start this series I think. It really is such an easy switch to make. You don’t have to form new habits, get over a yucky taste, or give up foods you’re used to and love! Great real food jumping off point! I’d love to eat more seafood and iodine is as good of an excuse as any, but I’m sure we reach at least the minimum requirement even without it.